Registering your home business sounds complicated and scary, but in fact, it doesn't have to be either. In most cases, the paperwork is fairly straightforward and affordable. More than that, it's an important requirement to make sure your business operates legally. Failure to comply with local, state and federal regulation regarding running a business can lead to all sorts of legal and financial hassles. Before getting the necessary licenses and permits to register your business, there are a few decisions you need to make about your business, and setting up your business identity. Decide the name of your business. This tasks is something you should spend some time on as it will become your brand. You can use your given name, or make up a name that fits the business you plan to run. However if you make up a business name, you should check with the US Trademark Office and your Secretary of State's office that regulates corporations to make sure the name isn't taken already. You have several options for your business structure? As a sole proprietor, the paperwork is minimal, but it does carry some legal risk as you and the business are viewed legally as one entity. Most states now allow for single-person limited liability companies (LLC), which provide more protection but do come at a cost and more paperwork, although it's not as difficult as expensive or difficult as it used to be. If you're going into business with someone, you'll want to look into a partnership. 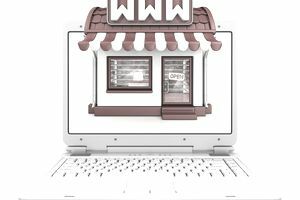 Once you've determined your business name, and how you'll structure your business, you can set out to get all the proper licenses and permits. Some of the best resources available to assist you in this process are the U.S. Small Business Association, and your state’s and county/city's official government websites. Many states and localities have fully automated online systems which can guide you through the entire registration process. Below are the typical types of registrations you'll be asked to take care of. If you use your given name in your business, such as Sally Smith Company or Sally Smith Company, LLC, you may not have to register your business name locally. Generally, filing your business name is to let your locality know who's running the business, which is obvious if your name is in it. But if you choose a different business name, such as Acme Company, you'll likely be required to file a fictitious name statement, sometimes called DBA (doing-business-as) or assumed name, with your local county clerk's office. For example, if John Smith was a sole proprietor carpenter and advertised his business as “Honey-Do Carpentry,” he would need to file a fictitious name statement. Fictitious name statements are generally printed in the local paper to let residents know who the owner is of the business. If your business is an LLC, Partnership or a Corporation you should contact your state's Secretary of State office to create and/or register your business (it is possible to create an LLC or corporation in another state, but you'll need to register it in the state you're doing business). They will advise you of the various paperwork necessary to register your business and assist you with any federal filings that may be required based on your business type. Regardless of your business structure, you may be required to get a business license through your county or city. In many locations, you can do this online or by visiting your city/county government offices. Generally, it's a short application and affordable filing fee. Each year you'll be asked to pay a new fee usually based on the income you earn in your business. Depending on the type of business you run, you may need other licenses or permits. For example, if you'll be selling food items, you'll want to check with your health department about a health permit. Other types of business are often regulated by the state include child care, animal care, grooming (i.e. hair and nail services), and financial services. Check your state's occupational licensing site for information on if and how to obtain occupational licenses. Uncle Sam wants a piece of your new business action too. All businesses are required to pay federal, state, and local taxes, regardless of business structure. As a sole proprietor or a disregarded-entity LLC, you can file a schedule C using your social security number. However, there are benefits to getting a Federal Employer Identification Number, even if you don't have employees. One is to have your business have it's own Federal number, thereby protecting your social security number. Getting a tax ID number (Federal Employer Identification Number or FEIN) is easy and free. This is a step many would-be home business owners skip, especially if they're working digitally. However, not checking with your local government zoning office about home business rules could lead to penalties and closure of your business. Physical Changes/Visibility - Does your business require modifications for your home? Are you going to hang a neon sign in your window? External Effects – Is your business an annoyance or a nuisance (i.e. collecting scrap cars on your front lawn), or using toxic chemicals? Business Activities – Are you running a hog farm in the suburbs? In general, if your business doesn't impact your neighbors with any of the above, you'll be allowed to run your business. But don't assume that because you don't impact the area, that you don't need to contact your zoning department. Check with your local city/county government office's zoning department to determine if you need to apply for any special permits or waivers.